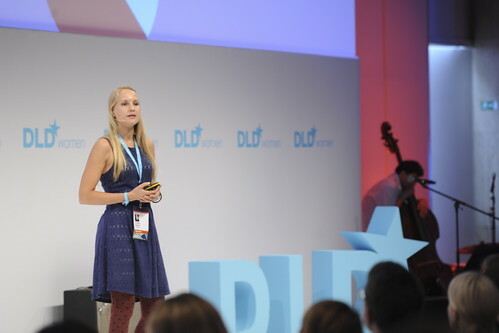 Urska Srsen (Bellabeat) pitched an emotionally as much as business oriented wearable. Bellabeat allows a soon-to-be mother to track her babies heartbeat. The collected data can be shared with friends and family as well as with health carers. The confident young lady on stage said that she and the co-founder of Bellabeat began as a small start-up from Slovenia and Crotatia. Soon they realised, that their competetive advantage was their ability to respond fast to patients’ needs. and demands. They focused on a niche aspect of the health care market in wearbales and quickly competed with big companies internationally. Bellabeat is a successful addition to the quantify yourself movement and creates bonds between mothers and their babies even before they can see each other.